2 YRS Dongguan Source Group Clothing Co., Ltd.
lanyard lapel pin bottle opener coins bag hanger medal keychain belt buckle cufflink/tie clip patches our company own professional staff and advanced equipments, including cnc die carving machine, die casting machine and various punching machines. Q: Is the MOQ fixed9 A: For mass production orders, the MOQ cannot be lowered according to production requirements. We may promise that we can try our best to finish all of your orders within the shortest time. If you are interested in our any kinds of products, pls feel free to contact us We will reply you at shortest time. 4 YRS Hangzhou Ouhong Garment Accessories Co., Ltd.
3 YRS Zhangjiagang Kejia Label Weaving Co., Ltd. Size 25-100mm / Customer size Color Follow panton /Optional Craft Sewed or printing Plating Heat adhesive or velcro Edge Hot cut edge & Merrow border MOQ 1pcs Design One side design Usage Fashion accessories,garments,dress,caps, uniforms, pant Please Click Here To View More Patchs: Hot Sale Click the photo one by one for more products: More Related Product: Lapel Pins Medal Challenge Coin Key Chain Patch Click Here Click Here Click Here Click Here Click Here Zhongshan Toproad Pins Craft Co. Our factory specializes in various metal products, such as challenge coin, medal, lapel pin, and keychain. Different kinds of processes available during the production,includingsemi-cloisonne hard enamel, die struck soft enamel, photo etching, offset / silk screen printing and otherprocesses. 11 YRS Guangzhou Quanyu Clothing Accessories Co., Ltd.
Packaging & Shipping Add our shop to your Favorites right now! Click to get more information! Send inquiry to us now!!! 1 YRS Dongguan Qingmei Professional Trade Co., Ltd.
company name yibao gift co. ltd. business type manufacturer/trading company product/service embroidery patches, lanyards&ribbons, medals and so on. we are yibao company, one company which makes promotional gifts. 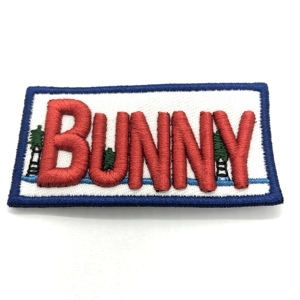 10 YRS Glory Sunny Industry Co., Ltd.
For patches materials, there are Twill patches, Felt patches, Leather patches. 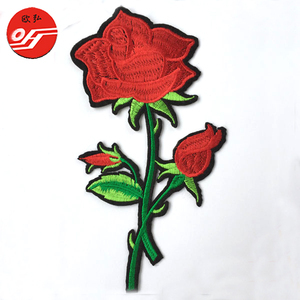 For embroidered patches, there are one popular and high end patch, it &rsquo; s 3D patches. And this style patches price will high than Embroidered Patches and Chenille Patches. 4.You have to prove the ownership of the trade mark/logo and offer the certificate of authorization. 2.Custom design: If you have your own design,we will make approved samples based on your artwork or original sample. etc 4.Custom packaging: Inner packing with polybags or tarrad paper,and then into cartons. 3 YRS Shenzhen Xinbaoyuan Weaving Co., Ltd.
3 YRS Zhaoqing Gaoyao Baocheng Gift Technology Co., Ltd.
5. Border: merrowed border and lasercut border. 6. Application: widely used as fashion accessories applied to apparels ,garments,clothes,caps ,shoes,curtains,uniforms,pants,pinafore muffles bedgowns and so on. If there any question or needed,please feel free contect us,we will try to give you the best service. 1 YRS Dongguan Weicheng Clothing Accessories Co., Ltd.
usage widely used for garment, shoes, bags, hats and textils, gifts, crafts, advertisement, promotion, collection, souvenir etc. material twill fabric,cotton,satin, felt, velvet , mesh, leather, polyester thread / metal thread. 3. What&rsquo;s your deliver time9 Generally, the sample time is within 7 days, and the bulk product is around 10-20 days. 5. What&rsquo;s your package9 Each pair into one opp bag, then put the bag into one carton, the carton size is around 30*40*50cm. 6. Where is your customer come from9 At present, our main customers are from European, America, South Korea, Bangladesh, New Zealand. 7 YRS Shenzhen Xinbaoyuan Weaving Co., Ltd.
1 YRS Zhaoqing Gaoyao Plus One Crafts Co., Ltd.
3 YRS Hangzhou Qiudie Garment Accessories Co., Ltd.
material silk,feather, nylon,cotton,cotton twill,fabric,cotton thread back iron on, sew on, hook&loop back , heat applied, hot fix. the use of label our products our company brief introduction of qiudie. 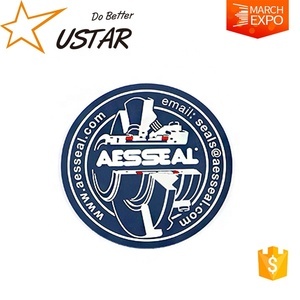 Certification Order Process We can create amazing patches with a single idea. We are one-stop solution patches manufacturer, feel free to contact us. For example,the application of your patch like cap,uniform or jacket and so on. meanwhile, w e are the authorized supplier for some world famous trademark s,such as puma,lowe's, disney,walmart. for example, large cargo can be deducted edition fee.if there is a order and paid deposit, this don &rsquo; t collect fees. 4 YRS Zhongshan Cheng Hai Metal Crafts Manufacturer Co., Ltd.
Alibaba.com offers 222,693 patches custom products. About 37% of these are patches, 4% are sports caps, and 1% are men's t-shirts. 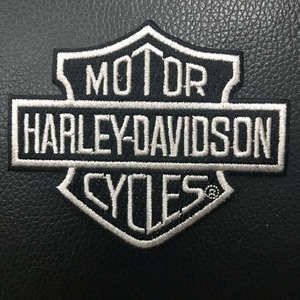 A wide variety of patches custom options are available to you, such as 3d, eco-friendly. You can also choose from embroidered, appliqued, and sequined. As well as from iron-on, sew-on, and stick-on. And whether patches custom is free samples, or paid samples. 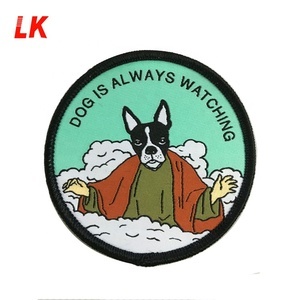 There are 222,693 patches custom suppliers, mainly located in Asia. 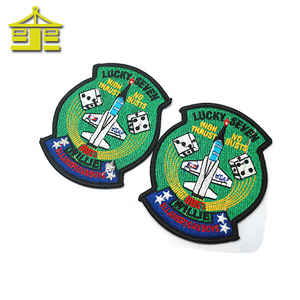 The top supplying country is China (Mainland), which supply 100% of patches custom respectively. 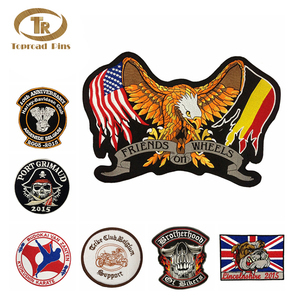 Patches custom products are most popular in North America, Western Europe, and South America. You can ensure product safety by selecting from certified suppliers, including 42,604 with Other, 31,053 with ISO9001, and 6,479 with ISO13485 certification.